After receiving an overwhelming response to their first smartphone launch in India, Xiaomi today launched their second Android smartphone in the Indian market, the Xiaomi Redmi 1S. This device was slated to be released at a price of Rs.6999 in India, however, on the day of release Xiaomi thought it would be better to cut the margins even more and bring this device in India at an amazingly low price of Rs.5999. Processor: 1.6GHz Quad core processor. Chipset: Qualcomm Snapdragon 400 chipset. Display: 4.7" IPS Retina 720p display with a ppi of 312. Dragontrail scratch-resistant glass. Rear Camera: 8 Megapixel autofocus rear camera capable of recording 1080p videos. Front Camera: 1.6 Megapixel camera capable of recording 720p videos. Battery: Lithium Ion battery capacity of 2050 mAh. The Xiaomi Redmi 1S is extremely aggressively priced at Rs.5999 to counter one of Motorola's best seller, the Moto E. The Redmi 1S runs on Android 4.3 Jelly Bean with a layer of MIUI v5 over it. 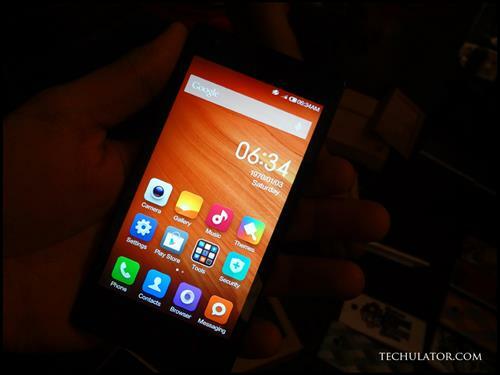 The features of MIUI on the Redmi 1S are more or less the same as that on the Mi3. MIUI (Xiaomi's UI) has a lot of customizations to offer and is one of the best UI's for that geek in you. As usual, the Indian variants of Xiaomi devices come with Google Play Store pre-installed. 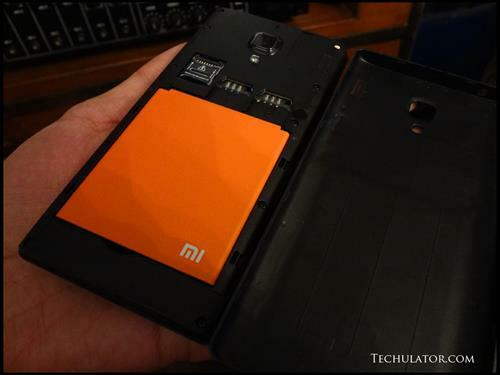 Important: Please note, that the Redmi 1S requires a mini-sim card on both the sim ports. Since most of the smartphones these days come with either a micro-sim or nano-sim port, Xiaomi has decided to include a micro to mini sim adapter in the retail box. The Redmi 1S comes in a standard Grey colour (front and back), however, you have an option to interchange its back covers which are available in various colours. The back covers are reasonably priced and will also be available on Flipkart. The Redmi 1S registrations on Flipkart have begun from 26th August and deliveries will start effective September 2nd 2014. I have registered for one myself and will write a detailed review once I get my hands on the device. Please Subscribe to our YouTube channel for regular video reviews on gadgets and launch events. A Quick Hands-on review video taken at the Launch event! I hope you liked this article, please feel free to comment below letting me know your feedback. I would love to hear from you.